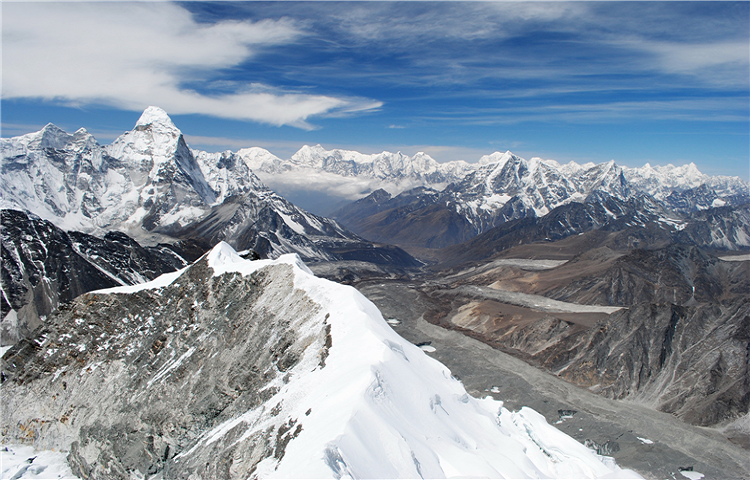 Everest Panorama Trek also known as Everest View Trek is a short and relatively easy compared to some of other treks. 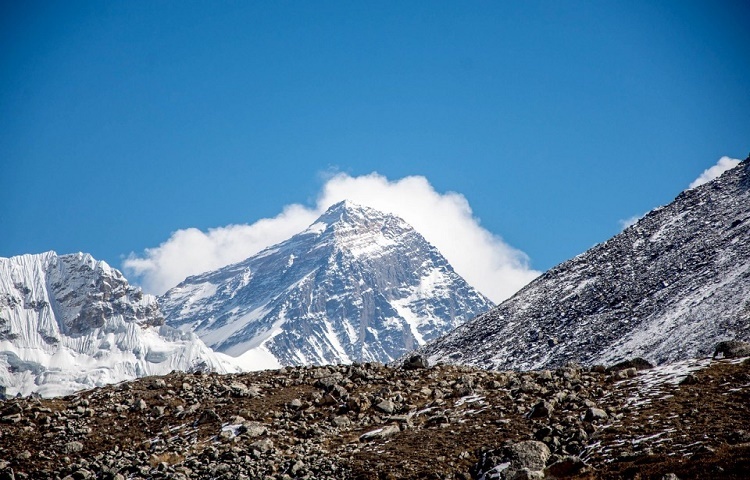 This is a short but very scenic trek offers really superb view of the world’s highest peaks, including Everest, Lhotse, Thamserku, Ama Dablam and other many snowy peaks. This is suitable for those who have short time but are willing to take pleasure of trekking in Everest region, the crown of the world. In addition to panoramic views of giant Himalayas, you also get a close look at Sherpa people and their traditional culture. Everest Panorama Trekking begins from Lukla which is 35min short but scenic flight away from Kathmandu. The walking trail is along the banks of Dudh Koshi river and after walking through forest of rhododendron and magnolia, crossing Sagarmatha National Park which is home to various species of wild birds and animals including other flora and fauna we reach Namche Bazar, the gate way to Everest. After a day rest, we move forward towards Tengboche(3860m) which is well known for its monastery in the highest altitude. We can see amazing Thanka paintaings and 20 foot statue of Lord Buddha in monastery. Tengboche monastery is surrounded by mountains. We can witness the Everest rising behind the Lhotse- Nuptse wall as well as the Kwangde, Tawache, Ama Dablam, Katenga and Thamserku.Then we retrace the journey back to Shanasha and to Khumjung, a small farm village with beautiful monastery. From Khumjung we head to Khunde which has the only hospital in the whole of Khumbu area, built by Sir Edmund Hillary Foundation. Then a steep downhill walk will take us to Manjo and finally to Lukla where we can fly back to Kathmandu. 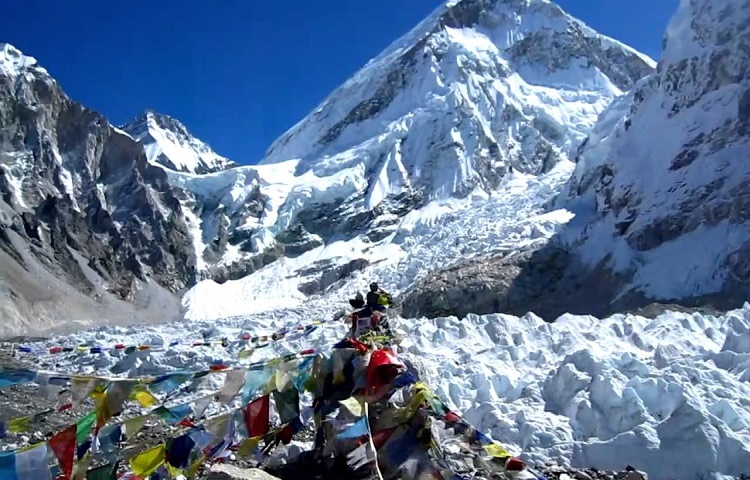 Everest hike / trek all the way through the legendary Khumbu Everest region offers miraculous views and the vigorous villages and ancient monasteries are captivating and encourage explorations.In addition, the welcoming Sherpa people whose hearts are life-size will enchant your memories for a lifetime. Day 07: Wandering around Tengboche and return to Namche. We drive to Tribhuvan International Airport (in a private vehicle) to board a flight to Lukla (2,800m). After 30-35min scenic flight the plane will land at Lukla. Lukla is known as a gateway destination. A clear day normally offers a great aerial view. At Lukla Airport, you will be introduced to other crew members. Breakfast will be served at the lodge and luggage will also be prepared for the Porters. 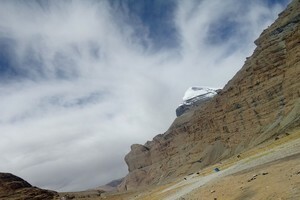 Then the trek begins towards Phakding. After four hours hike we will reach Phakding. This trail from Lukla to Phakding offers downhill and flat trail experience. Along the trail you can also experience prayer rocks (Mani in local language) and a splendid view of the colorful Lukla village. 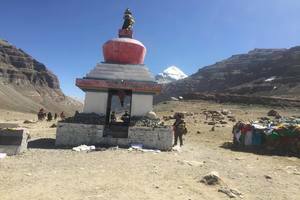 When we reach Phakding, you can freshen up and then our guides will take you for a short walk to the village or even hike up to the nearby Gompas (monasteries) for the purpose of acclimatization. Then we return to hotel or logde. Overnight at hotel or lodge. After breakfast, we set out from our lodge in Phakding and move towards Monju which is also known as the gateway to the Sagarmatha National Park. In between Phakding and Sagarmatha National Park you will get to experience the thrill offered by many suspension bridges, and the small settlements like Zapute, Toktok, Benkar, Chumoa and Monju. Here, you can also see small tea houses and shops while your leader takes care of the necessary national park formalities at the entrance to the park. On entering the national park the trail drops steeply down to the river, crosses another suspension bridge and continues towards the high Hillary Bridge at the bottom of the hill. After the bridge the trail leads you uphill to the Namche Bazaar offering you the first great view of Mt. Everest, hidden behind Lhotse-Nuptse along with the view of Mt. Kusum Khangru. Overnight at Lodge in Namche bazzar. Namche Bazaar, a gateway to the high Himalayas, is the main trading center in the Khumbu region. This place is very popular for altitude acclimatization. 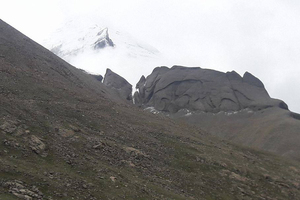 For adaptation you should acclimitimaze to the weather for further days to spend at the trek. Therefore, we organize a short hike to Thame, which is an old Sherpa village or visiting Khumjung/Khunde/Khongde is also considered a very good option to enhance acclimatization.Namche Bazaar offers many ways to spend a day. You will have you enough time to visit the National Park Head office, Museum, and other monasteries. You can also have your own quality time at cafes, shops, bakeries or restaurants. The place also features other essential services like post office, hospital, government health post, 24 hour electricity and water supply and high speed internet access. 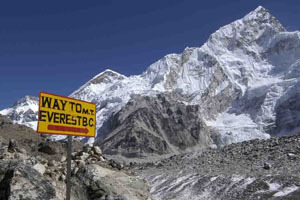 You can also contact your family before heading towards the base of Everest Base Camp. This is night is also spent in a lodge in Namche Bazaar. Today we will take a rest at Tengboche in order to freshen up our trekking journey. We get to view the mesmerizing beauty of Mt. 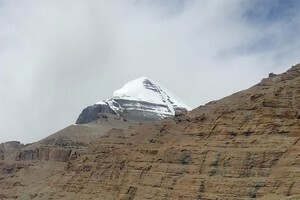 Everest (8848m.) and its neighboring peaks Like Ama Dablam, Lhotse, Nuptse etc.= from Tengboche. Tengboche also has a famous Tengboche Monastery i.e the biggest and oldest monastery.We explore the monastery and interact with the monks there. We can also observe their Mani Rimdu dance in the Monastry. Day 08: Tengboche to Namche (3440m.) We can also get to the bakery above 3800m in the mountaneous region. This day we make our route to Namche bazaar. We descend on the steep path to the Dudh Koshi and then climb up to Namche Bazaar. Overnight at Guesthouse. After the breakfast, we continue our walk downhill from Namche toward the second bridge across the Dudh Koshi River near the meeting point of Bhote Koshi and Dudh Koshi rivers. Then we walk towards Monjo where on fulfilling the formalities at the check post of the National Park at Monjo, we continue our walk towards Phakding. We stop at Phakding for lunch and soon after the lunch we continue the trail that leads us to Lukla. Along this flat trail you can enjoy prayer stones, rhododendron and pine forest, prayer flags, Sherpa village as well as open plains. 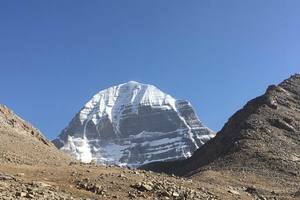 This is the last day of the trek. On reaching Lukla you can either spend your time with the rest of the crew members or look for some alone time to summon up the wonderful memories made during the past few days. Overnight at Lukla. The trek ends hence we fly to Kathmandu from Lukla. We give a farewell dinner to the clients for the trek completion and discussion onto your arrival for next time.